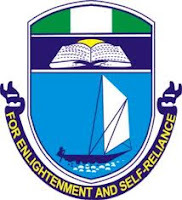 This is to inform all the candidates offered provisional admission into the University of Port Harcourt, Nigeria (UNIPORT) for the 2017/2018 academic session that the management has released the procedure for the application of deferment of admission. 1. Candidate must confirm his/her Admission Status must; pay Acceptance Fee showing evidence of having accepted the offer of admission. 2. Candidate is, therefore, expected to go through the Online Clearance Process, up to Eligibility Clearance Stage to get cleared online. i. A coloured Print-Out of Clearance Eligibility Form with Candidate’s “Clearance Status” boldly indicated Cleared on top of the Form. ii. Original WAEC/NECO/NABTEB certificates. Online coloured printouts will suffice where the Candidate’s Certificates are not originals/ available. iv. Birth Certificate, but where this is not available, Statutory Declaration of Age will suffice. 4. Candidates cleared at the Admissions Office are expected to proceed to the Bank to pay a Deferment Fee of N5,000.00 (five thousand naira only). 5. Candidates, after payment, should submit the Bank Teller to the Bursary Department of the University and obtain a receipt. 6. Having obtained a Receipt, Candidate should return to the Admissions Office with the Receipt and obtain a Deferment of Admission Form, to be duly completed by the Candidate thereafter submitted to his/ her Faculty Officer for Processing.